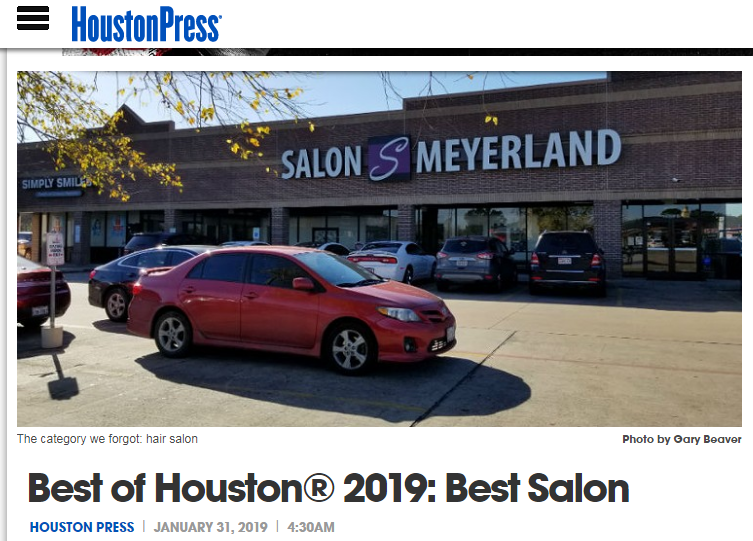 Salon Meyerland won "Best Salon" in the Houston Press Best of 2019 Houston contest! This is a new recognition that is different from when we won "Best Stylist" in 2017. Please congratulate your favorite salon professional as without them we could have never received this fantastic recognition! So proud!! !